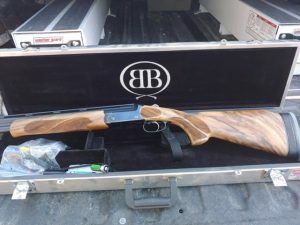 I have been hunting and fishing virtually all of my life and restocked my first rifle when I was sixteen years old. 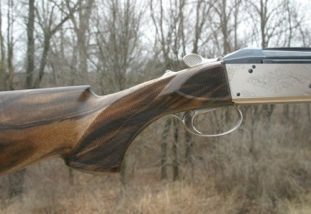 I have worked on custom guns since 1980, specializing in wooden stocks. 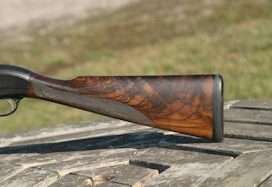 I have built a number of beautiful wooden stocked rifles ranging from 6.5 caliber to .423/404 jeffery. 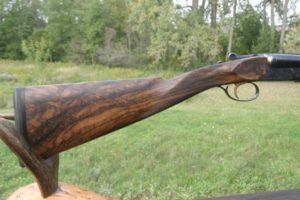 I have also built a number of varmint styled rifles as well as synthetic stocked rifles. 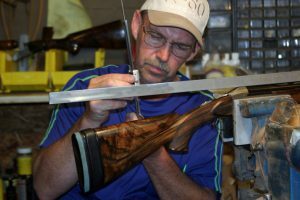 I have experience working on Winchesters, Remingtons, Sakos, and Mauser rifles. 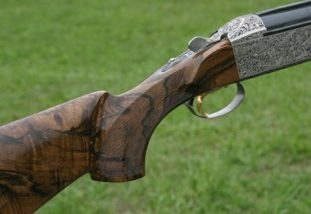 I also have experience working on Kriegoffs, Perazzis, Berettas, Webley and Scotts. 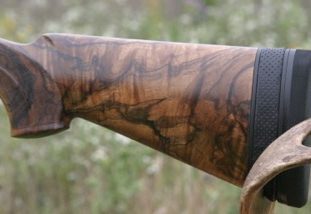 While living in Alaska, the main focus of my gun work was on rifles and some shotgun stock work. 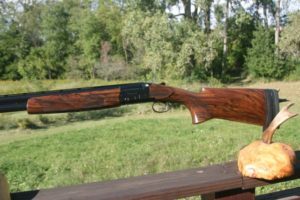 In Alaska I shot competitive high power and I held a Master rating at 200, 300, and 600 yards, as well as a Master rating in Palma, which is 800, 900, and 1,000 yards, with open sites. 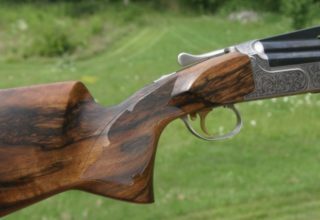 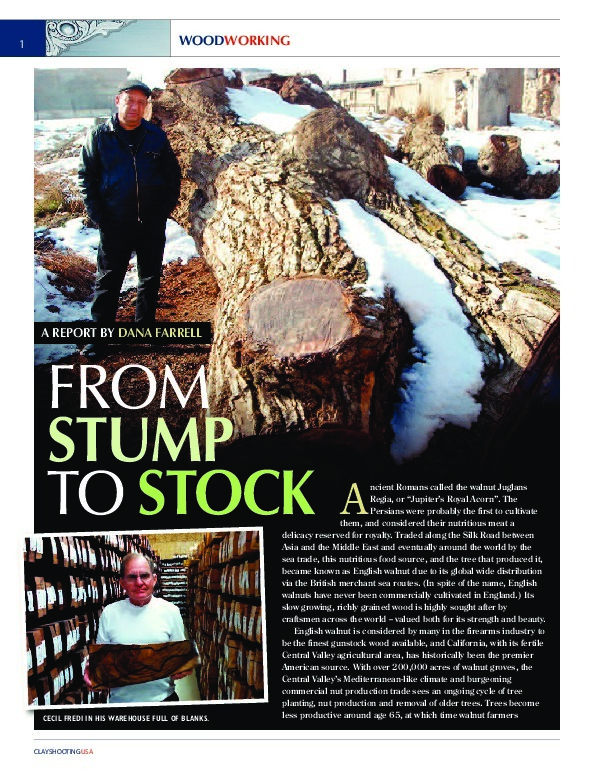 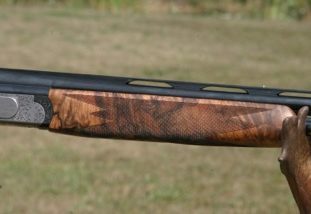 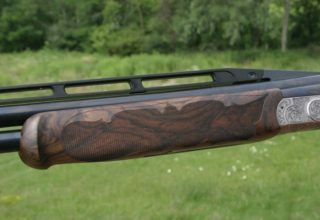 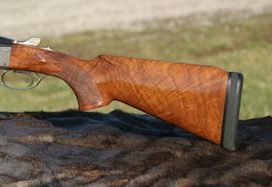 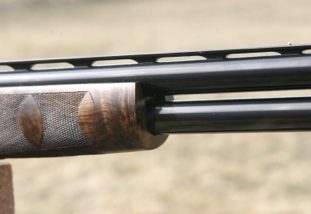 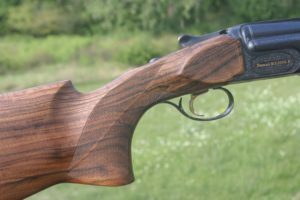 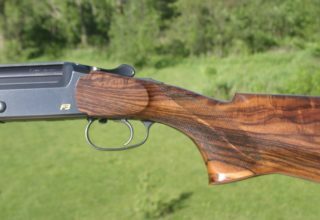 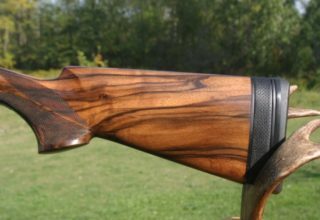 After moving to Michigan in 2007, my work is now primarily focused on shotgun stocks – specifically sporting clay stocks. 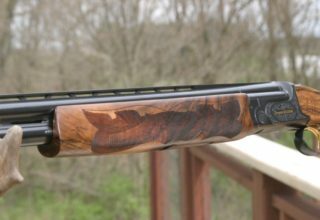 I began shooting sporting clays in 2009 and that is my main focus today. 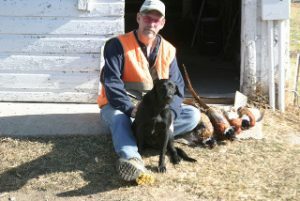 I consider sporting clays the ultimate bird hunting practice and spend a month or so out west every fall with my labs, bird hunting.